Apple on October 25 announced it's performance on revenue and net profit for Q3 2012. On the following day, it's major competitor Samsung also released press statement for the record-high sales on smartphones. Both manufacturers hit their target and exceeds expectations. Apple rakes in 35.97 USD billion in net revenue, a net profit of $8.2 billion, and earnings of $8.67 per share while Samsung earned revenue of $47.5 billion and net earnings of $7.4 billion. Samsung said a 91 percent or double boost in earnings on smartphones compare to the same period last year. Apple on ther hand, estimates around 58% and 26% on iPhones and iPads increase sales respectively. 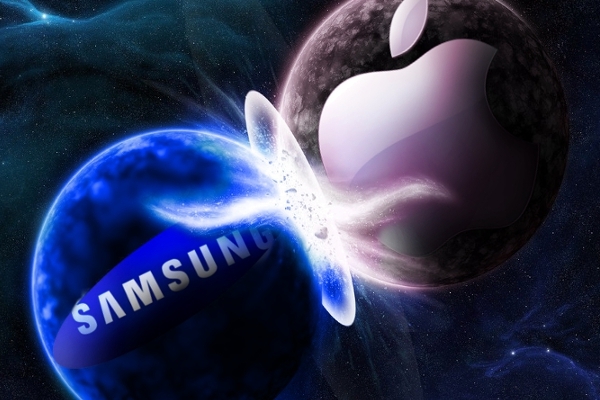 The Korean company, Samsung reported that total smartphones shipped on quarter 3 of 2012 is around 58 million units while Apple sold around 26.9 million iPhones and 14 million iPads. “We’re very proud to end a fantastic fiscal year with record September quarter results. We’re entering this holiday season with the best iPhone, iPad, Mac and iPod products ever, and we remain very confident in our new product pipeline.” – Tim Cook, CEO, Apple, Inc.
“Global smartphone shipments grew 35 percent annually from 120.0 million units in Q2 2011 to 161.7 million in Q3 2012. The 35 percent growth rate was relatively soft, as a volatile global economy and maturing penetration of smartphones among contract mobile subscribers continued to moderate demand.” , Alex Spektor, Associate Director at Strategy Analytics said. Samsung Galaxy S3 became available in most part of the world since May while Apple iPhone 5 debuted only late September. Approximately 20 million Galaxy S IIIs were sold in Q3 or nearly 35% of the total units sold by Samsung. It seems that Samsung is now the worldwide leader in smartphone market with evidence of impressive sales and revenue. Samsung said it is doing lot of research and development to stay on the top of competition and prove originality on smartphone concepts and patents. Analysts said that Q4 performance will have different perspective due to market penetration rate of smartphones and the global adoption of LTE handheld devices.